Welcome to Swift Verruca Treatments. Swift Verruca Treatments and Crumlin Podiatry provide fast and efficient verruca treatments across Northern Ireland, Crumlin and Belfast with a 95% success rate. We provide the latest microwave therapy for skin in Crumlin, Belfast, etc. 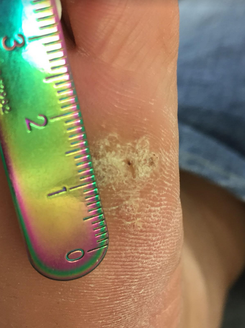 using a new, precise and easy way of treating soft tissue lesions. 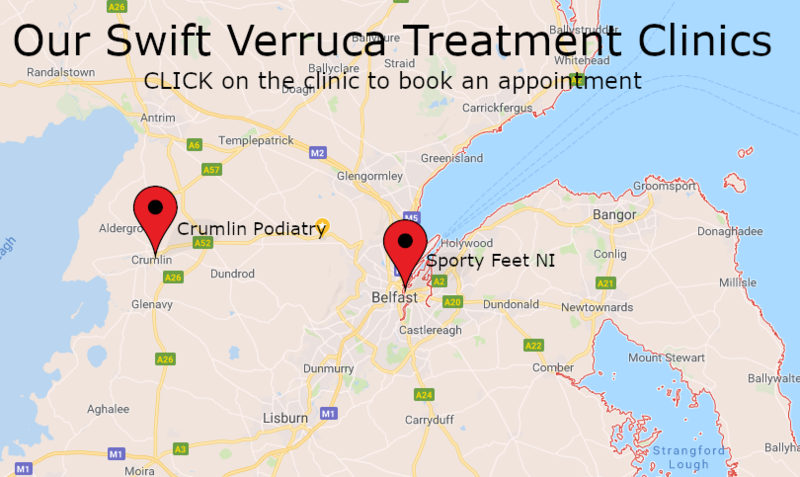 We are the most experienced clinic providing Swift Verruca Treatment Clinics across Northern Ireland and have over 95% success rate with this treatment. 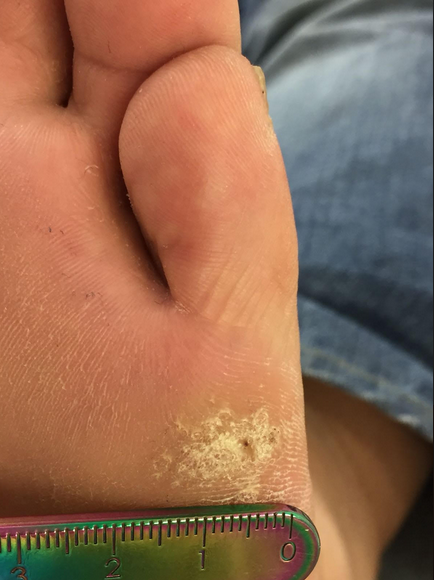 Thank you Owen for a very successful bout of treatment to clear the verruca off my foot. 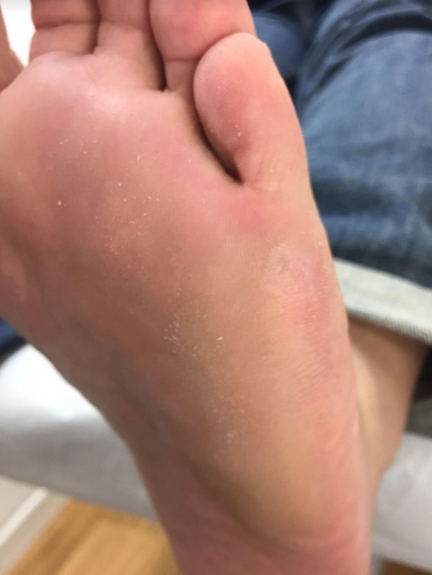 I had tried in vain with over the counter treatments and it just took 3 treatments with the new Swift verruca treatment to clear it completely. Great success and I can highly recommend that people come and get the Swift treatment. Here are some pics to show the difference from the first week and the second treatment a month later and the third treatment another month later. Back tonight for my 10 week review and it's completely gone! Thanks again so much Owen.